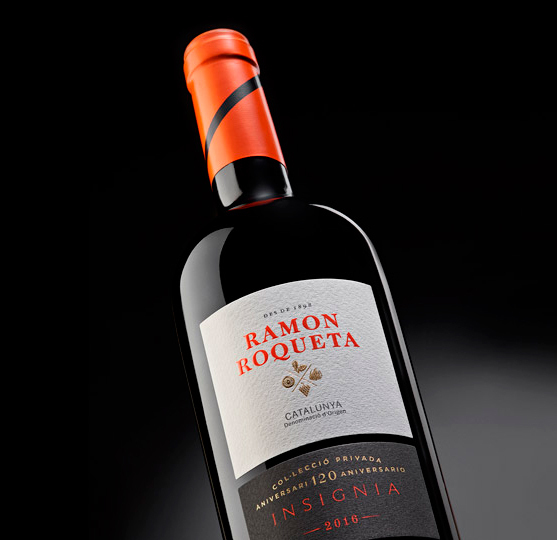 Insignia is made with Garnacha, Samsó and Sumoll, which come from areas in the region which provide optimal conditions best suited to these varieties. Garnacha grape is elegant and produces fruity, pleasant and generous tones thanks to its adaptation to predominantly limestone soil with sandy topsoil. Samsó is grown on poor soil, which is acidic and has a sandy texture. It is influenced by the sea and the Tramuntana wind; the end result is intense and an embodiment of Garnacha variety. It defines and harmonizes the very essence and backbone of this wine. The Sumoll variety, on the other hand, enhances the wine with acidity and freshness, giving it greater length in the mouth. Aged for 8 months in fine-grain European oak barrels. This wine, Insignia, culminates 120 years of wine production and family history to create a living testament to five generations of commitment and dedication to the vineyard. In 1898, Ramon Roqueta founded the winery on the principles of respect and passion. This wine pays tribute to him and keeps his legacy alive.